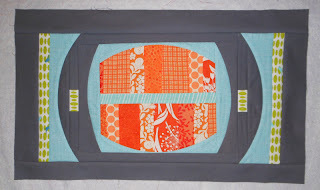 Link ups on Monday always make the week start off a bit better than they use to for me - thanks to Sew Modern Monday and Manic Monday. It doesn't end there either - often I'm still clicking around to check out what everyone has done throughout the week because there is so much to see and comment on. 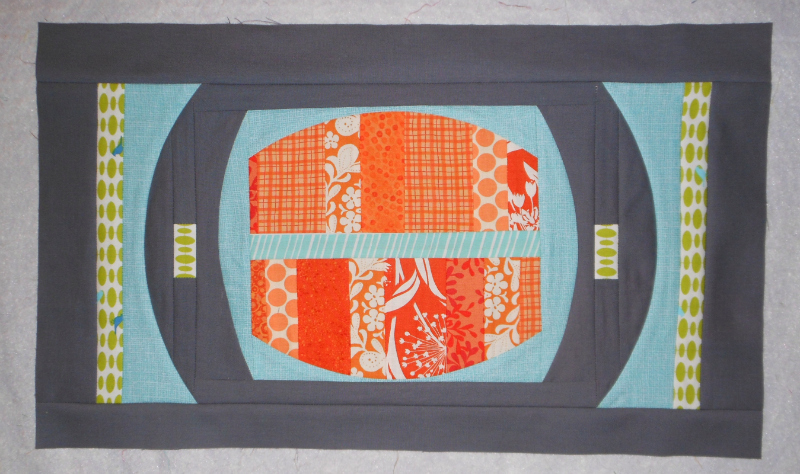 Here are my two QuiltCon challenge blocks. The entry form says you can send three so I may just try and whip one more out before the SBAMQG July meeting. They both have redeeming qualities. I'm pleased but not totally thrilled with either. It sure felt good to play around with my Quick Curve Ruler and I do love sewing with Laurie Wisburn and Dan Bennett fabrics. There are some fun blocks posted on the flickr group and I'm sure as the deadline for submission approaches, they'll be many more. Deciding on the winning 20 blocks will not be an easy task. 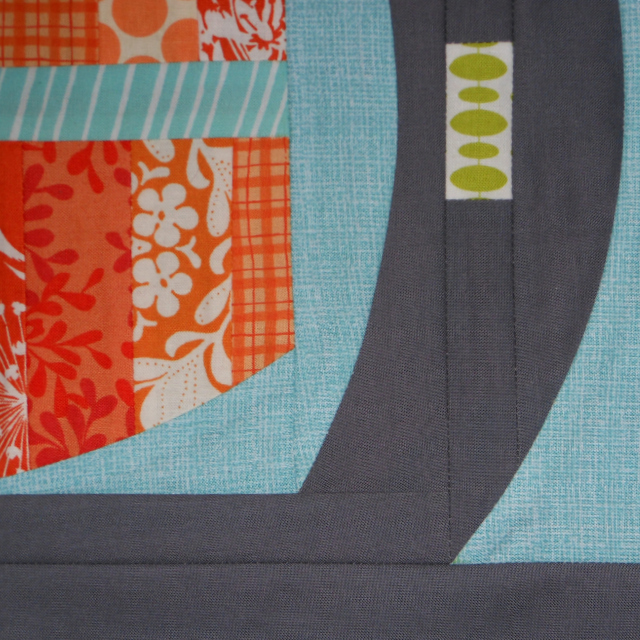 I like the idea of having the rest made into charity quilts - so it's a win win no matter what. Okay...well I LOVE them! You did a really good job!! I love seeing your interpretation of Modern! So Awesome!